The village bible in the church of Saint-Barthélémy in Gorbio. Happy Christmas everyone! La Bible du village à l'église Saint-Barthélémy de Gorbio. Joyeux Noël à tous! Old tech and new. 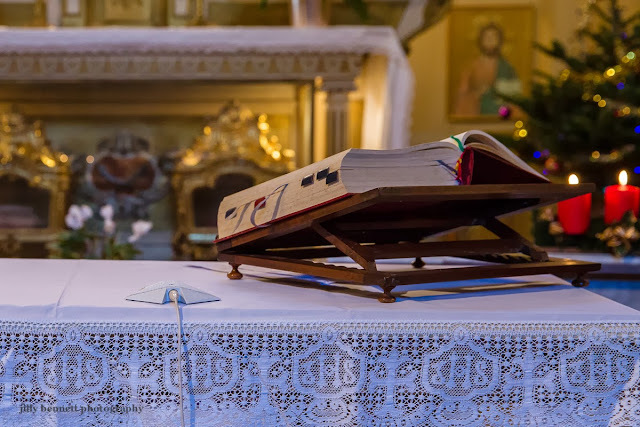 Can't help but notice the digital microphone (I presume) swimming across the top of the altar like a ray. Happy Christmas to all of our friends in France.